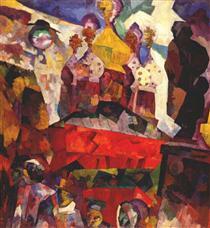 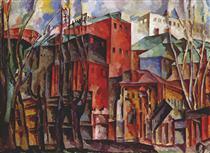 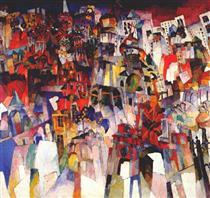 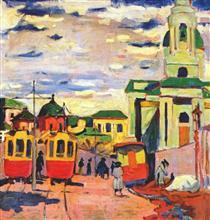 From 1910 to 1911 Lentulov studied at the studio of Henri Le Fauconnier and the Académie de La Palette in Paris. 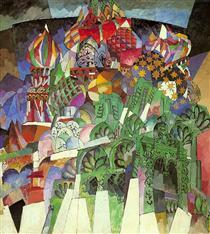 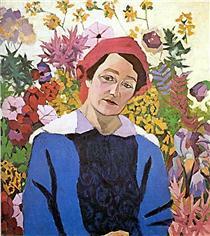 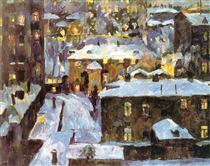 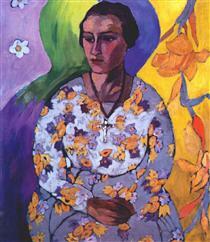 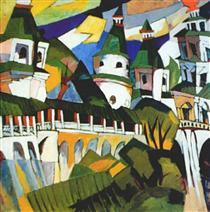 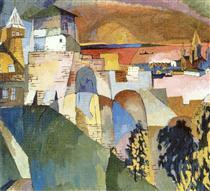 The 1910s were for Lentulov a period of creative productivity and experimentation. 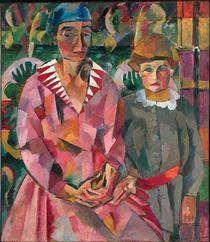 He was drawn to Orphism influenced by the French artist Robert Delaunay. 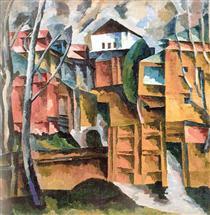 Whilst there, he became acquainted with contemporary French painters such as Albert Gleizes, Jean Metzinger, Fernand Léger and Robert Delaunay and after absorbing fauvists' and cubists' principles, developed his own unique coulorful style of painting. 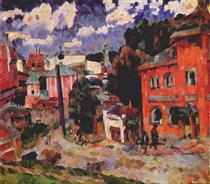 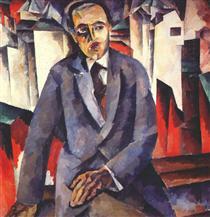 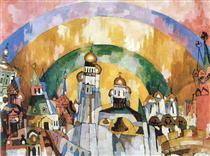 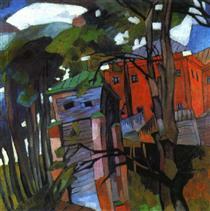 Later, after his return to Russia in 1912 he became a major influence on what to become the Russian futurism and in particular Cubo-Futurism. 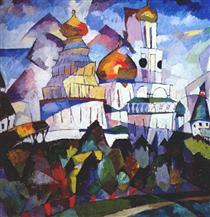 Wassily Kandinsky and Kazimir Malevich were both influenced by him. 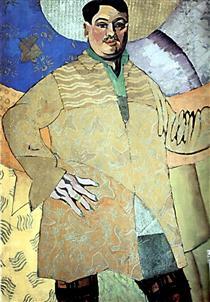 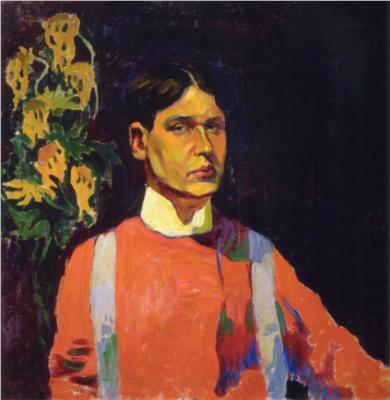 Portrait of M.P. 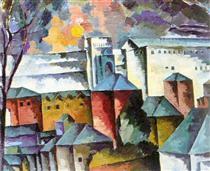 Lentulova Aristarkh Lentulov ?